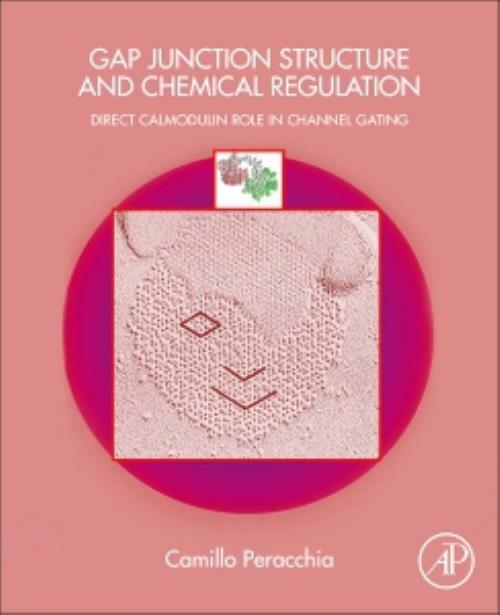 Gap Junction Structure and Chemical Regulation: Direct Calmodulin Role in Cell-to-Cell Channel Gating describes and discusses the findings of major studies conducted during the past century on the structure and chemical regulation of direct cell-to-cell communication via gap junction channels. Chapters bring together important findings on direct cell communication, from its history, to its structure and regulation. These channels are essential for normal organ function, and mutations in their protein (connexin) cause various diseases. The book is useful for established investigators who need a review on the field and young investigators who need a thorough resource for study and comprehension. Camillo Peracchia is a Professor Emeritus of Physiology and Pharmacology at the University of Rochester, School of Medicine. His research has focused on the structure and chemical regulation of cell-to-cell communication via gap junction channels and on the direct role of calmodulin in gap junction channel gating. Continuously funded by NIH for almost four decades, he has published over a hundred papers, authored a book and edited three others. He was an invited speaker at over forty international congresses and symposia, and has been Associate Editor of the Journal of Neurocytology. In 1994 he was elected Honorary Member of the "Societá di Medicina e Scienze Naturali (University of Parma, Italy). He has served as Regular Member of the Cell Biology and Physiology Study Section (CBY-1, NIH, 1990-94), and is a National Reviewers Reserve (NIH, 1994-present). He is a member of the American Society for Cell Biology and the Biophysical Society. In March 2017 he received a Lifetime Achievement Award from Marquis Who's Who. He has taught Respiratory Physiology to medical students and Cell Biology to graduate students. In recognition of his teaching activity, he was awarded the Manuel D. Goldman Prize (1998), the Edward F. Adolph Medal (2004), and five commendations (1995, 1996, 1999, 2002, 2005).